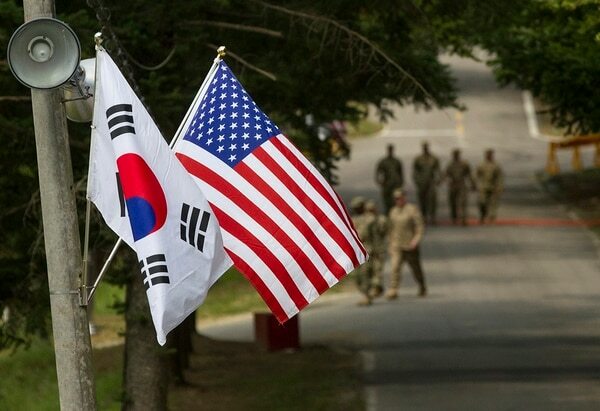 WASHINGTON – Just days after a planned high-level summit between the U.S. and North Korea was called off, the Pentagon’s top official said Tuesday that no decision has been made to cancel major joint military exercises between the U.S. and South Korea planned for 2019. Secretary of Defense Jim Mattis told reporters that there are “no plans, at this time, to suspend any more exercises” on the Korean Peninsula, a sign that the department is expecting to go forward with major events that North Korea has historically decried as provocative. “We will work very closely, as I’ve said, with the Secretary of State, and what he needs done, we will certainly do to reinforce his efforts, but at this time there is no discussion of further suspensions,” Mattis said. He later added that the department has “done no planning for suspending” future exercises. Following the Singapore Summit between U.S. President Donald Trump and North Korean leader Kim Jong-un, the U.S. put off several planned exercises, including Ulchi Freedom Guardian. Those maneuvers had been scheduled for this month. Ulchi Freedom Guardian is the largest annual autumn event. Its counterpart in the spring is Foal Eagle, which occurred in April following the Olympic Games. North Korea considers both exercises provocative and halting them has been a longstanding goal of the Kim regime. 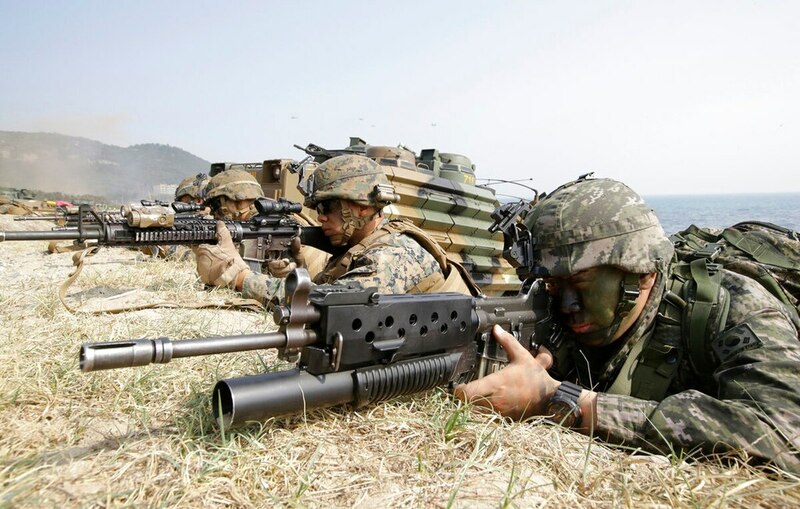 The retired four-star Marine general added that several smaller exercises have continued between the U.S. and South Korean forces, in part because there is no way Pyongyang could interpret those as provocative. “We turned off several to make a good faith effort, we’re going to see how the negotiations go and then we will calculate the future how we go forward,” Mattis said. When announcing his intention to cancel Ulchi Freedom Guardian, Trump described the regular exercises “war games” and called them “provocative.” On Tuesday, Mattis dodged the question of whether resuming those maneuvers should be seen as a provocative move by the Americans.